Brooklyn-based design laboratory Richard Clarkston Studio created the perfect lamp for star gazers. 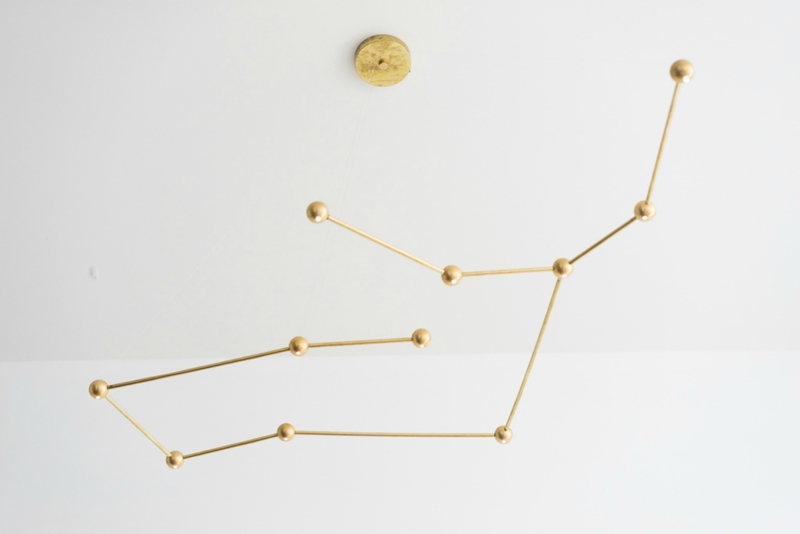 The firm’s new Constellation lamp series is made up of thin gold rods with LED-lit star nodes arranged into the various zodiac constellations. Thanks to the barely-there cords, the twinkling constellations hang delicately from the ceiling, creating a beautiful starry night scene. The Constellation system is flat packed with all of its components designed for easy assembly. Each light fixture has a specific design according to the zodiac sign ordered. To assemble, the thin rods equipped with the LED-powered star nodes just snap into place. Once assembled, the supports are threaded through a canopy and crimped in place using adjustable crimps. Like most lamps, the system has to be positioned and hardwired into the ceiling. However, the constellation series can operate on batteries with the appropriate hardware. The LED bulbs used in the lamps are estimated to last over 50,000 hours and each star node can be independently replaced. Brooklyn-based design laboratory Richard Clarkston Studio created the perfect lamp for star gazers. 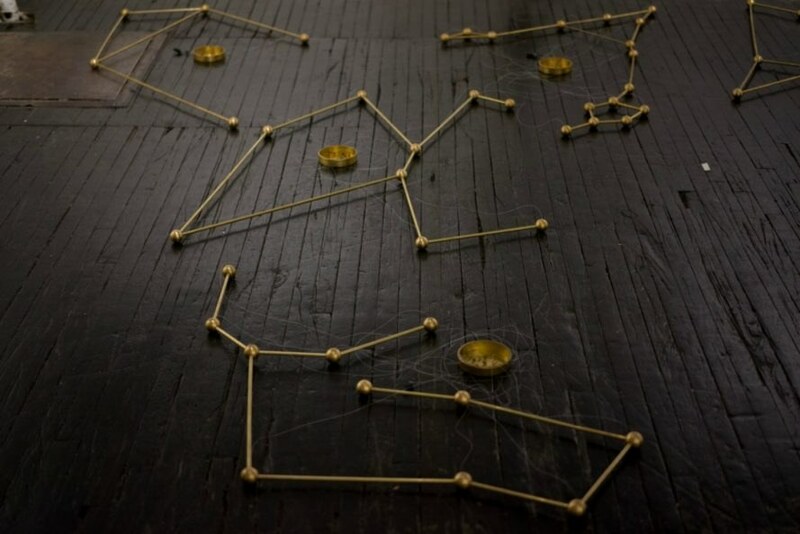 The firm's new Constellation lamp series is made up of thin gold rods with LED-lit star nodes arranged into the various zodiac constellations. 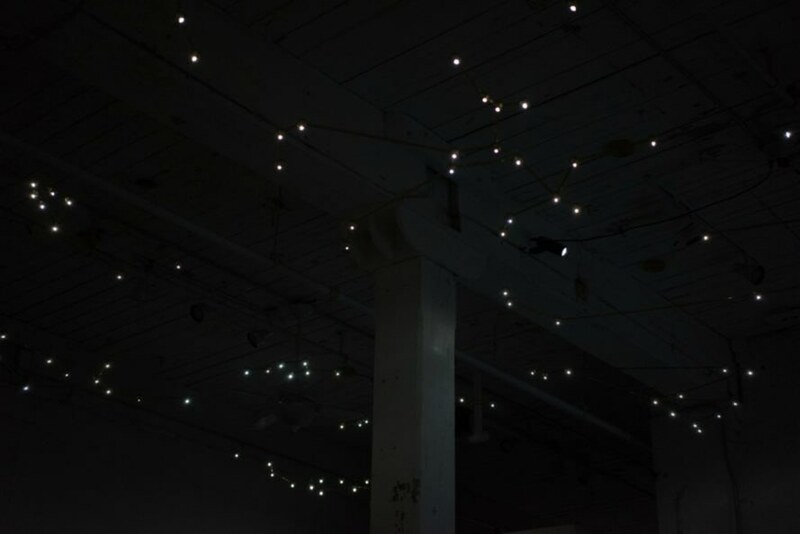 Thanks to the barely-there cords, the twinkling constellations hang delicately from the ceiling, creating a beautiful starry night scene. 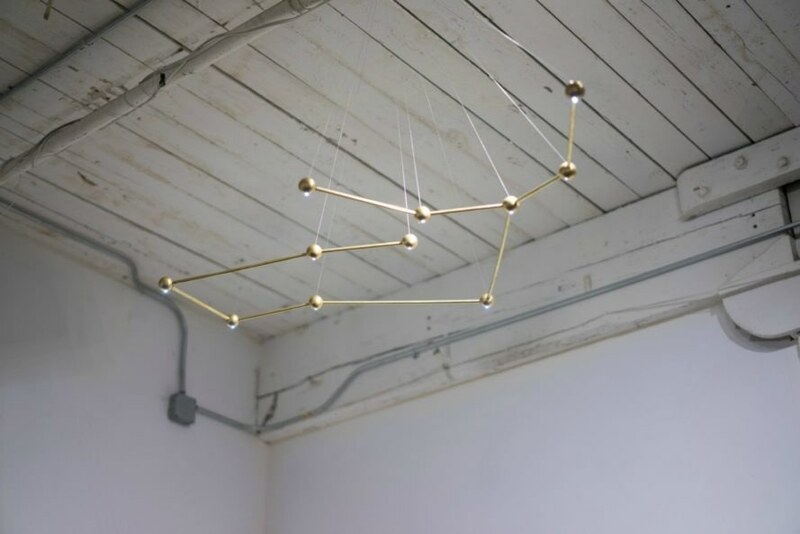 The thin rods snap into place, providing the LED-powered star nodes in the desired zodiac configuration. The Constellation system is flat packed with all of its components easily organized thanks to detailed instructions. .
Once assembled, the supports are threaded through a canopy and crimped in place using adjustable crimps. Like most lamps, the system has to be positioned and hardwired into place. The lamp can operate on batteries with the appropriate hardware. The lamps hang from the ceiling by thin cords. The lamps are designed in the various zodiac constellations. The lamps use led bulbs in the star nodes. Richard Clarkston Studio's Constellation lamp series.